Wanted to share one more tasty recipe to close out the year and these cookies were just too perfect! Wishing you and your family a wonderful holiday season and happy and healthy new year. We'll be back in January with some fun new recipes AND fun new products...stay tuned! Based on the amazing response to our Ceremonial Gift Set Giveaway (winner to be announced in 2 days! 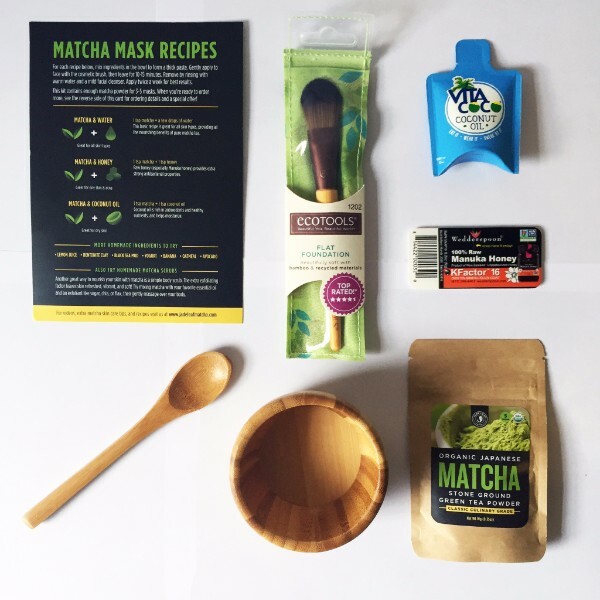 still time to enter here)...we realized we *had* to do one for our Matcha Face Mask DIY Starter Kit as well! Do you love all-natural nourishing skin treatments (or have a friend that does? )—this set is for you! It includes all the tools you need to prepare antioxidant-packed matcha facial masks at home. 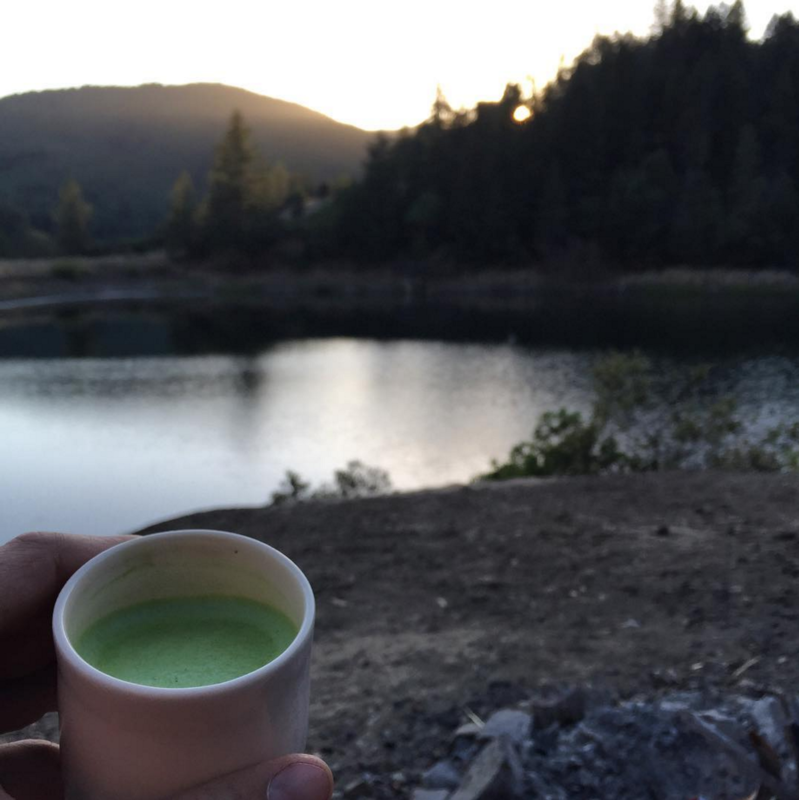 Last fall I got to experience a perfect matcha moment while camping in the expansive wilderness of northern California. The air was fresh and perfectly comfortable. The soft sounds of nature were tranquil and calming. In my hand I had a cup of ceremonial matcha I had prepared just minutes before. Everything in that moment felt just right, and I remember it fondly. Sometimes meditation doesn't require closed eyes or controlled breath...it's just about catching yourself in the present moment, mindful and content. Fall is such a great time for camping, and I hope some of you get the chance to find your own matcha moments out in the beauty of nature. It's May already (where does the time go? ), which means it's time for the first harvest in Japan! Back in April, the first new shoots of the season appeared at the tips of the Camellia sinensis tea plant. Shortly after that, matcha plantations were shaded for about 20 days using a large overhead framework of screens. This served to shut out direct sunlight, reducing the rate of photosynthesis which results in high levels of theanine, the amino acid responsible for the full-bodied flavor of matcha. Now, in early May, the "first flush" of tea leaves are carefully picked. These young leaves are considered by connoisseurs to be the absolute finest in quality, freshness and flavor. Both of our Ceremonial Grade matchas are produced exclusively from these first harvest tea leaves...which begs the question: why the difference in quality and price? Premium vs Classic Ceremonial - what's the difference? Since both of our ceremonial grades are produced using first harvest tea leaves from the same region (Uji), the difference comes down to how selectively the tea leaves are chosen. Once the first flush leaves are picked, they are sorted and graded by expert Tea Masters according to color, flavor, aroma, and other dimensions. The very best tea leaves go on to become our Premium Ceremonial Grade, while the leaves one step down are used to make our Classic Ceremonial Grade. Both of our ceremonial grades are excellent to consume on their own as tea in the traditional preparation. Some customers prefer the slightly more luxurious taste of premium, while some are perfectly content with classic. It all comes down to your preference as to which one is right for you. Try some today! (And if you need all the tools for traditional matcha prep, grab one of our gift sets here). Free shipping! It's no secret that one of our customers' favorite ways to enjoy matcha is in a delicious latte...and we've just made it a whole lot easier to make a perfect one. Introducing the world's first fully organic Matcha Latte Mix. It's convenient, all natural, and utterly delicious. So we kept our mix that simple, just two ingredients: organic matcha and some organic sugar. Nothing else added. It's organic, vegan, gluten-free, gmo-free...and absolutely delicious. We've taken care to make sure this mixes easily...you absolutely do not need a blender to get a perfect cup! For a delicious hot latte, simply whisk or stir 8oz (1 cup) of hot milk with 1 tablespoon of mix. If you want to get fancy use a steamer or milk frother for a cafe style foam finish. For a refreshing iced latte, shake 8oz (1 cup) of cold milk with 1 tablespoon of mix, then pour over ice. So good! Just click here to grab your own bag of our new Organic Matcha Latte Mix and enjoy this delicious blend anytime and anywhere you want it.